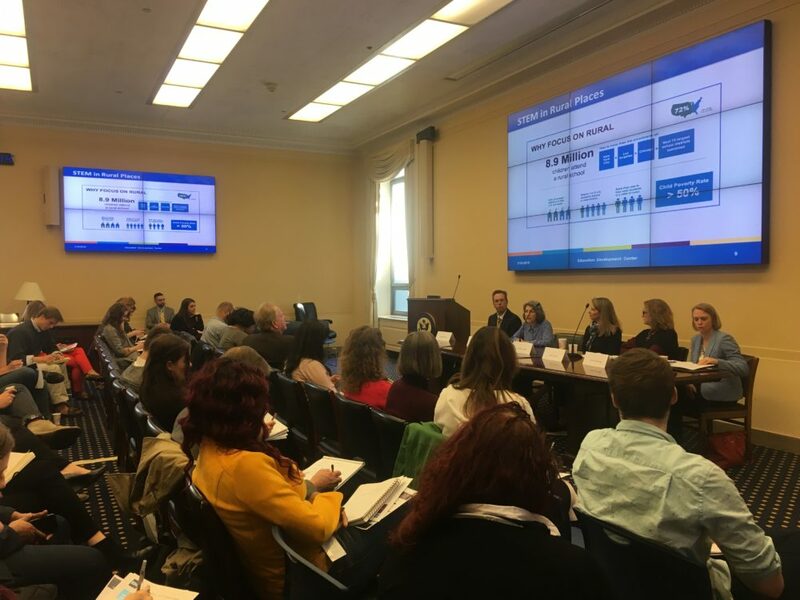 On Tuesday, March 19, the STEM Education Coalition hosted a Capitol Hill Briefing on major policy issues facing the 116th Congress. Speakers included: Abigail Juris-Levy, Co-Director, STEM Portfolio, Education Development Center; Della Cronin, Principal, Bose Public Affairs Group; and Allyson Knox, Director of Education Policy, Microsoft. Coalition Executive Director, James Brown, moderated the conversation, which examined how Congress can support more efforts to increase diversity and inclusion in STEM activities, STEM in the reauthorization of the Higher Education Act, and the importance of getting students involved in STEM learning in the earlier grades.